6-Piece Kitchen Tool Set Just $11.99! FREE Shipping! Today Only! You are here: Home / Great Deals / Christmas Deals / Christmas Holiday Crystal Necklaces Just $6.99! Down From $80! FREE Shipping! 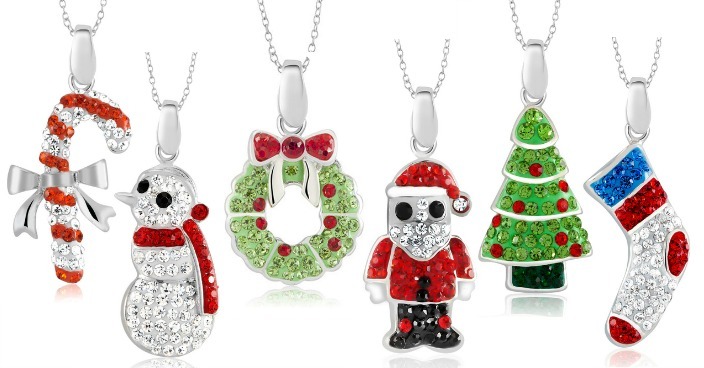 Christmas Holiday Crystal Necklaces Just $6.99! Down From $80! FREE Shipping! Tanga has these Christmas Holiday Crystal Necklaces for just $6.99!